When I see what movies are offered to moviegoing kids these days (seriosly, Beverly Hills Chihuahua?! ), I’m sometimes surprised by what you can get away with in today’s Hollywood, and how the kids themselves seem to be perfectly fine with it. Just as this thought cross my mind, I’m likely to let the little people off the hook, because what the slightly older crowd seem to consume and relish is not much better, often even worse. And then finally my argument of cultural pessimism and moral decay falls apart completely, as I realize I was just as easily fooled myself. Of all my early favorites though, I’m a little embarrassed to admit I was most passionate about Disney’s Mighty Ducks franchise. Apart from making me an avid fan of North American ice hockey (I don’t follow it nearly as closely as I did in the mid-to-late ninenties, but I still check up on my favorite team – Boston Bruins, don’t ask me why – once in a while), and providing me with a safe, simple and sentimental tale about the need to never give up, the movies (all three (!) of them) also had my heart racing for its young lead, the then-unknown Joshua Jackson. Back then it didn’t matter that all these movies were thick with moral lessons or that the jokes were beyond both stupid and predictable; I wanted to have what he had, and I was secretly stunned by his looks (Jackson third to the right). Like another Early Gay Crush, Zac Hanson, Jackson has never been and will never be hot in any strict sense of the word, but my fascination with him was nonetheless renewed when he scored the role of Pacey Witter on the inevitably sappy yet strangely addictive Dawson’s Creek. It’s of course possible that his natural charm and charisma came through even clearer because his male co-star James van der Beek desperately lacked both, but this and the fact that his was character much easier to like than he incessantly whiney Dawson Leery, made him a reason for me to watch the show. When I wrote about the cuteness of Michael Cera and Jesse Eisenberg last year, I fondly labeled them geeks (for lack of a better term), to accommodate for guys who may not be universally regarded as physically attractive, but whose charisma draw you to them anyway. I’m not sure if he fits the bill entirely, but he comes close. Today though, my Joshua Jackson crush is mostly a nostalgic memory. I’ve noticed that he stars in FOX’s modestly successful Fringe (that’s about as successful as they come in the television business nowadays), but since I’m no fan of neither sci-fi nor facial hair, I think I’ll say our relationship has run its course. But because kids are driven by recognition and teens are driven by hormones, it’s safe to say we had some fun along the way. This entry was posted in gay, movies and tagged Early Gay Crushes, Joshua Jackson, Mighty Ducks, movies. Bookmark the permalink. Haha, thank you- Nice to know you’re even concerned about my legacy. But of course! I went back and re-read your Zac Hanson post recently. I miss Zac! I always wanted to cuddle with him! Oooh, “Fringe” is soooo good. I love it. Which reminds me–I need to check when it’s coming back. Anyway, when I was younger, I used to watch “Jack,” “Free Willy,” and “The Mighty Ducks” as well (or was it the second one? maybe both). To this day, I still think they’re good movies. I loved it when Jason James Richter played the harmonica to the killer whale. Of course I was scared of it but their relationship was cute. Whenever I hear Michael Jackson’s “Will You Be There,” I think of dear James. haha. It’s too bad he doesn’t act anymore. I don’t even know how he looks like now! HAHAHAHA. Yeah, Beek was annoying. The only reason why I watched the entire series was because of Michelle Williams. She was a pretty darn good actress even back then. You and I both, Bryan. What do you think of Hanson today? Franz, yeah, I’m sometimes taken by nostalgia too, but as I’ve grown older, both ‘Jack’, ‘Free Willy’ and ‘The Mighty Ducks’ are a little too sentimental and/or predictable for my taste. I feel the same thing when I hear ‘Will You Be There’ (which I did just yesterday actually). When I hear the song I think of the film and vice versa. While it’s a harmless and at times moving song, it’s also over-the-top sentimental at times, much like the film. And yes, Williams was definitely the best of the bunch. Some of her scenes with van der Beek or Holmes was could be downright embarrassing to watch, because she outperformed them so thoroughly. JvdB tried to pull a Hugh Grant on us (think Charles in ‘Four Weddings’ vs. Daniel Cleaver in ‘Bridget Jones’ Diary’) in ‘The Rules of Attraction’, but it didn’t work for me. Even though he was the lead, he is now the only one of the four who don’t have a functioning career. If you’re familiar with the analogy, he’s the Gary Barlow (lead vocalist in the British 90’s boyband Take That) of ‘Dawson’s Creek’, forced to realized that Michelle Williams (the Robbie Williams of Capeside) and even Katie Holmes (Mark Owen, possibly – he won the British Celebrity Big Brother, after all!) have gone on to better things, while he’ll probably forever be the dreary Leery. (The Take That analogy breaks down when it comes to Jason Orange and Howard Donald, but never mind). Hanson today? I think their music just keeps getting better and better. And I would still cuddle with Zac. 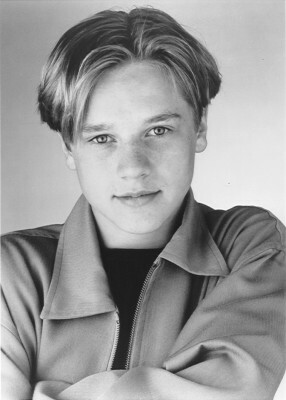 Yes, he has grown up to become a mighty fine young man, hasn’t he? I was just asking the Hanson question because I wanted to know if I was the only one who still think they are great (musically as well as physically, hehe).